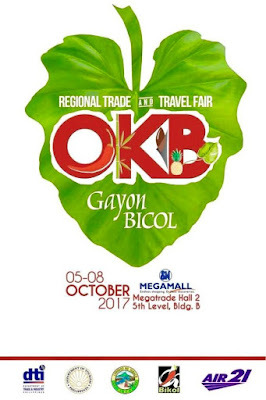 Check out OK (OKB-Gayon) Bicol Trade Fair happening on October 5-8, 2017 at Megatrade Hall, SM Megamall. 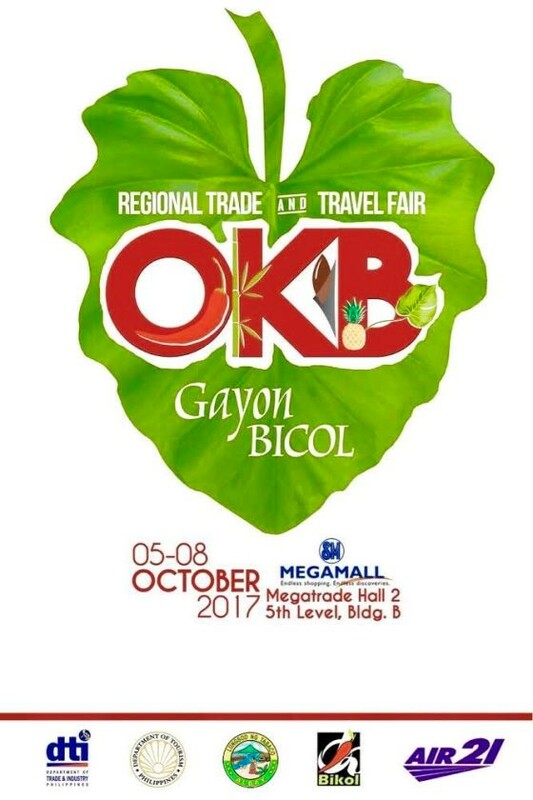 Now on its 21st year, OKB-Gayon Bicol has gone beyond an annual marketing event for Bicol Region’s fine products and tourism potentials. It has become a central platform to showcase the region’s heritage, to demonstrate Bicolano resilience and to uphold Bicolano's pride. The OKB-Gayon Bicol features Bicol’s best products made from finest handcrafted materials plus our prime food delicacies. It will bring the Bicolano entrepreneurs’ distinctive skills in weaving, innovating, and producing new products and designs to the world. OKB-Gayon Bicol 2017 event offers wearables and homestyle products, processed foods, ceramics, furniture/ furnishing, fine jewelry, and other products that will surely delight buyers. Joining this year’s fair are 141 MSME exhibitors from all over the region. 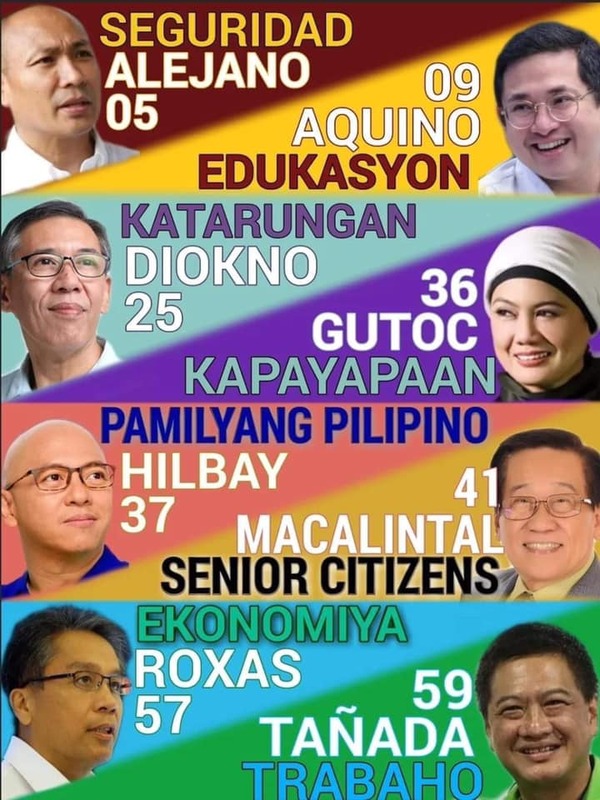 Twenty-six (40) from Albay, 15 from Camarines Norte, 22 from Camarines Sur, 25 from Catanduanes, 11 from Masbate and 28 from Sorsogon. It will feature 32 new entrepreneurs, who will now be given full marketing assistance by the DTI via this trade fair. It will also feature 255 new products resulting from DTI-Region 5’s product development activities prior to the event. 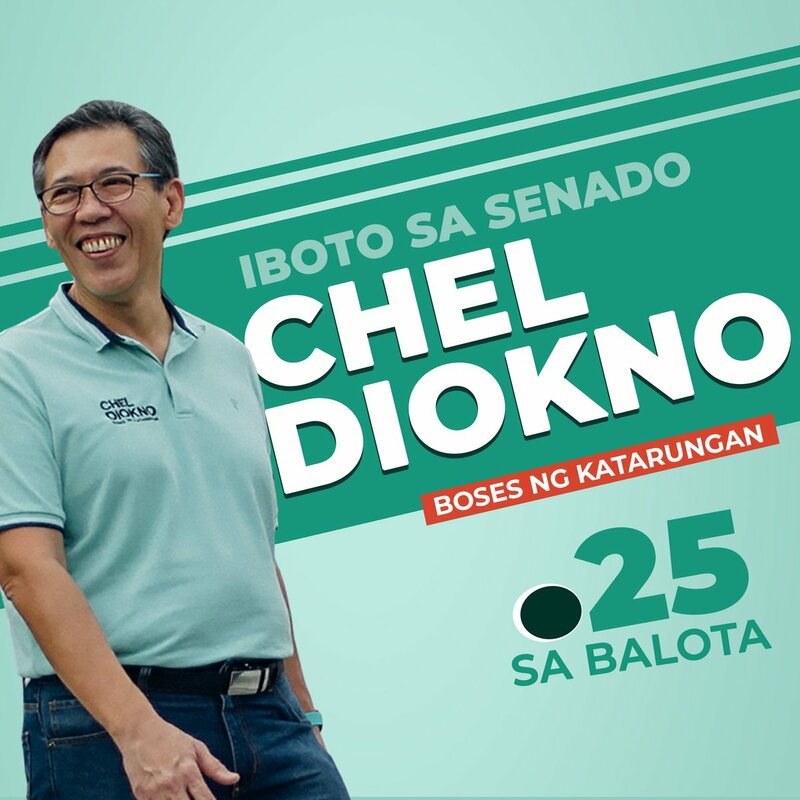 Madya kita sa OKB-Gayon Bicol 2017!